Hayley and co clarify a few details about their lineup situation. Paramore are currently hard at work in the studio, preparing their upcoming fifth album. However, much of the speculation and news surrounding the band has been focused on their ever changing lineup, especially given the ongoing court battle with former bassist Jeremy Davis. But now the band have made their position very clear, clapping back against criticism from a fan posted to instagram. One reddit user spotted this pointed message from the band. And it. Is. SAVAGE!!! Somebody better grab some soothing balm and a bandage because this kid just got burnt!!! 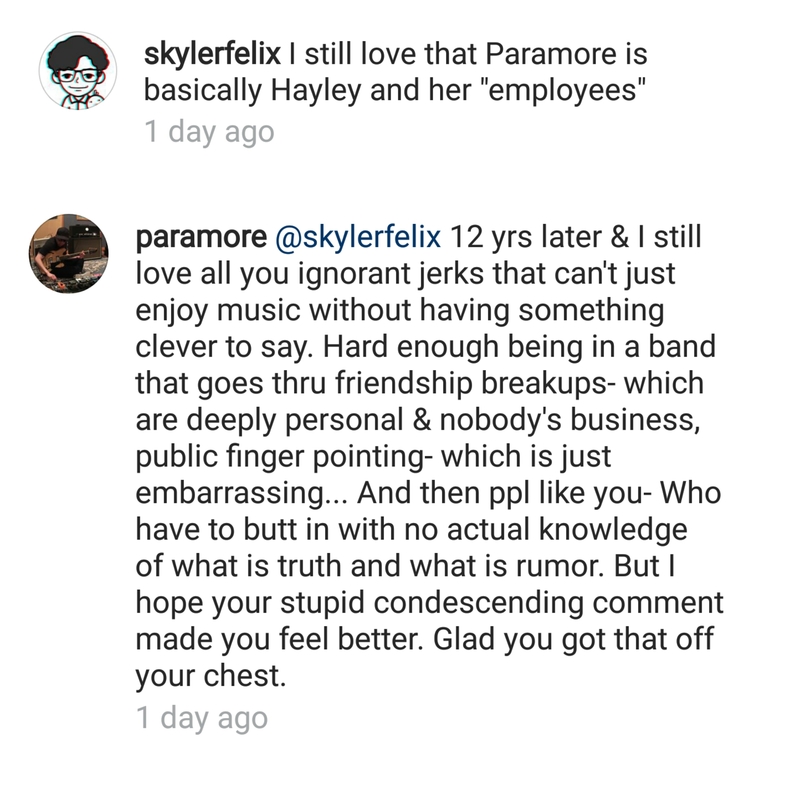 It was previously revealed that Hayley has a different agreement with the record label to the rest of the band but has always maintained that any business interests of the band are run fairly and any rumours about a potential solo career are just nonsense. Paramore's fifth album is set to be released later this year. We'll keep ya posted.